If you see extra hair clogging the shower drain, don’t start sounding the hair loss alarm right away. Before you panic, get some perspective. According to London-based dermatologist Dr. Jennifer Jones, hair loss becomes more common as women age. “About 45 per cent of women will have some degree of female pattern hair loss by the time they reach 50,” Jones told The Daily Mail. From aging to iron deficiency, there’s plenty going on underneath the surface that could be causing your hair to thin or fall out. And while there’s not a whole lot you can do about getting older – sorry, ladies! – you can keep an eye out for other symptoms. “We believe that treatment for hair loss is enhanced when iron deficiency, with or without anemia, is treated,” dermatologist Leonid Benjamin Trost and his co-authors wrote in the Journal of the American Academy of Dermatology. You should also keep an eye out for symptoms of lupus and consider how hormonal changes – including childbirth or thyroid disease – may be affecting your body, advises Sally Wadyka at Prevention. Of course, don’t just take our word for it. If you’re concerned, you should schedule an appointment with your doc to talk things over – and get some insight. It might be worth asking your primary care physician about the possibility of blood work to help determine what’s up, too. “If the blood test reveals that you have low iron, for instance, your doctor will put you on a supplement,” explains Lesley Alderman at The New York Times. “If your hair loss seems to be the result of menopause, you and your doctor can discuss whether hormone replacement therapy would be a good idea,” she adds. So while it might be tempting to stress out on your own, make a call and start looking for some answers. In the meanwhile, follow the rest of our hair-healthy steps, so you can focus on looking – and feeling – better than ever. Thinning hair is a surefire sign that something’s up. But thank goodness you can easily and effectively address extra shedding by changing your diet to include more protein, iron, and Omega-3s. Fill your cart with foods rich in protein and natural fatty acids, ingredients that are great for hair and scalp health, Polokoff suggests. Think fish – like salmon – eggs, spinach, and a healthy dose of nuts and seeds to build stronger strands with extra shine. You can also try supplements designed to give your hair the nutrition it needs. 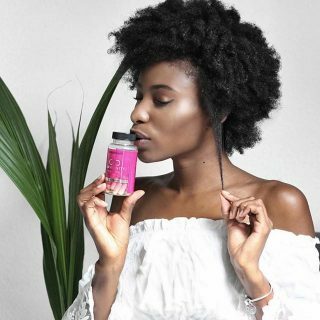 Hairfinity Healthy Hair Vitamins are formulated to fill in the gaps left by your regular diet ensuring that your hair receives the benefits of several nutrients. 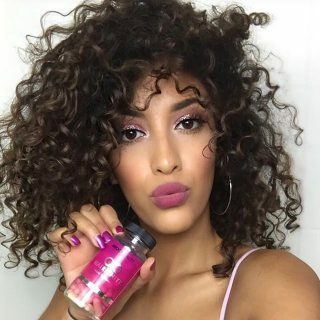 In addition, adding an amino acid supplement like Hairfinity Volume Builder provides the hair’s natural building blocks, plus support for normal hair growth from the root. We know, We know. You’re addicted to that curling iron and your special-ordered ion hairdryer. Girl, we get it. But if you’re overdoing it on heat styling, you could be making your problem worse – even permanent, cautions Dr. Jessica Krant, a dermatologist. “Scarring of the follicles [from excessive heat styling] can occur in a way that cannot be recovered through medications or procedures,” Krant told Huffington Post. “There is also a delayed effect, so it can be months to years after the damage is done that the hair no longer grows well,” she added. Suffering from thinning hair? Then it’s important to find other, less damaging ways to style your locks. At Today.com, stylist Jamika Wilson recommends adjusting the settings on your styling tools to avoid harming your already-delicate hair. “For fine hair, lower temperature settings are best, but no hair [thickness] should use 400 degrees,” said Wilson, describing the maximum heat setting for most professional styling tools. “While you think this gets your hair straight and smooth, you are actually damaging the hair,” she added. If the thought of abandoning your tools altogether sends you into a panic, consider styling your hair every other day to give your tresses a much-deserved break or using a heat protectant. Hairfinity Revitalizing Leave-In Conditioner can be used to protect your hair heat treated at 450° F.
Thinning hair got you down? Then direct a little TLC toward your scalp, which will help protect and nourish your hair follicles. “You’re halfway there every time you shampoo: massaging your head in the shower improves blood flow to the scalp,” writes Madyka at Prevention. 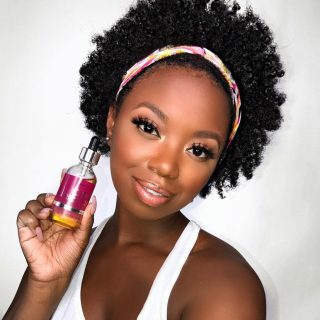 “This means a better environment for hair growth, but it also aids the penetration of any treatment shampoos you use,” she explains. 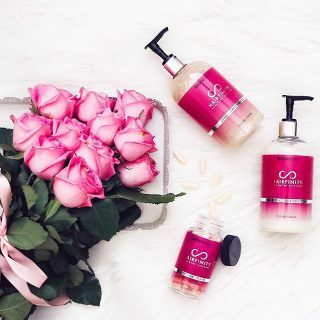 And while you want to be careful to use a conditioner like Hairfinity Balanced Moisture Conditioner that won’t weigh down your hair and make it look oily, you should still be sure to wash regularly, say the editors of Martha Stewart. “Use a volumizing shampoo and conditioner loaded with rice or wheat protein, which strengthens and expands the diameter of the hair shaft,” the editors suggest. Have fine hair? Then shop around for a conditioner with “avocado oil and and omega fatty acids to help hair maximize its natural water retention and boost growth and shine,” advises Megan McIntyre at Refinery29. Fine or thinning hair might require a little extra TLC, but it makes a big difference when you get that hair care combo just right. If you’ve scheduled an appointment with your doc, it’s worth bringing up a treatment like Minoxidil – one of the only FDA-approved treatments out there. “Minoxidil can enhance the size of the follicle so that it produces a bigger strand of hair,” dermatologist Wilma Bergfeld told Prevention. According to the same article, as many as 50% of women who use the treatment notice an improvement over time. If you’re not ready to commit to prescription strength treatments, there are other ways to make your hair stronger – and fuller – from the inside out. Vitamin treatments like biotin or supplements with amino acids can help you boost the strength and volume of your hair, and improve the health of hair that’s growing in, too. 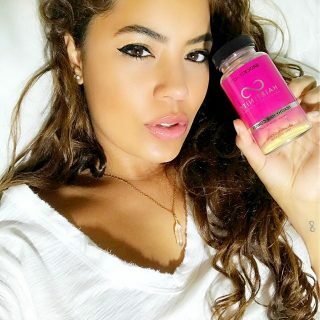 “[Biotin] has been shown to help hair and nails grow, and it may also aid skin-cell turnover, which keeps your complexion looking fresh,” explain the editors of SELF. Like protein, amino acids can help strengthen the protein structure of the hair follicle. Incorporating these treatments into your daily vitamin regimen can help you grow stronger, fuller, shinier hair. Stress is terrible for your body – and that goes double for your hair! And while stress-related hair loss is a common phenomenon to keep your eye out for, the timing of hair loss might not make immediate sense. “Because there’s a delay between when a hair stops growing and when it falls out, there’s likewise a delay between a stressful event (which can be physical, like surgery or trauma, or emotional, like a divorce or loss of a job) and when hair loss might occur,” explains Julie Beck explains at The Atlantic. According to Beck, you might start shedding up to three months after you felt like pulling on your own hair. If this sounds familiar, play detective and take a look at your calendar to see what was happening three months ago. Looking for a way to take the stress off your hair? 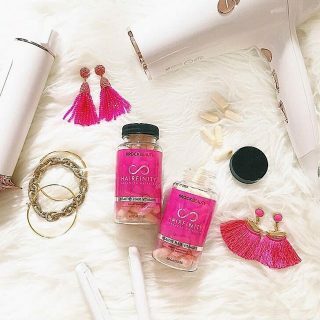 Try Hairfinity’s Detox & De-Stress Anti-Oixidant Booster designed to supports the scalp’s natural stress reduction mechanisms. Need more ideas for how to chill out? Try integrating more exercise and meditation into your day, suggests Linda Ellery at Huffington Post. “Exercising for a minimum of 20 minutes per day reduces stress by increasing the production of endorphins in the body,” writes Ellery. Losing hair can feel devastating enough – don’t be stressed out on top of it. Get out there and move, so you can start feeling better – and growing stronger, healthier hair. If you’ve been struggling with hair loss over the past few months, we know how upset and frustrated you must feel. But don’t give up on your hair – there’s still plenty you can do to make your hair healthy and full of volume again. From changing your diet to becoming a zen master, give yourself a little extra TLC. You deserve it.